After marked struggles early in the season the Dewey Bulldoggers appear to have hit their stride with the playoffs on the way. 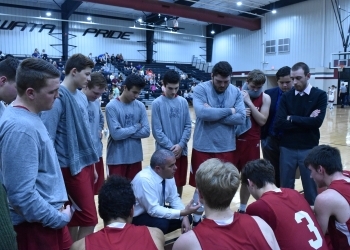 Dewey has won four of its last five contests, which includes a convincing 80-68 win at Caney Valley, Oklahoma last Friday. 80 points is the most the Bulldoggers have compiled this season. Dewey will look to keep its momentum going in its regular season finale against Caney, Kansas on Tuesday evening. The Doggers edged out the Bullpups, 76-74, in a December 15 meeting in Dewey. This was Dewey’s first victory of the year after dropping six straight. Head coach Lance Knight says junior wing Caden Baughn has been a big part of the Doggers’ resurgence. The Doggers will play at Kellyville in the Class 3A district playoffs on Friday. Coverage from Caney can be heard starting at 7:45 p.m. on Tuesday night on KRIG 104.9 FM.